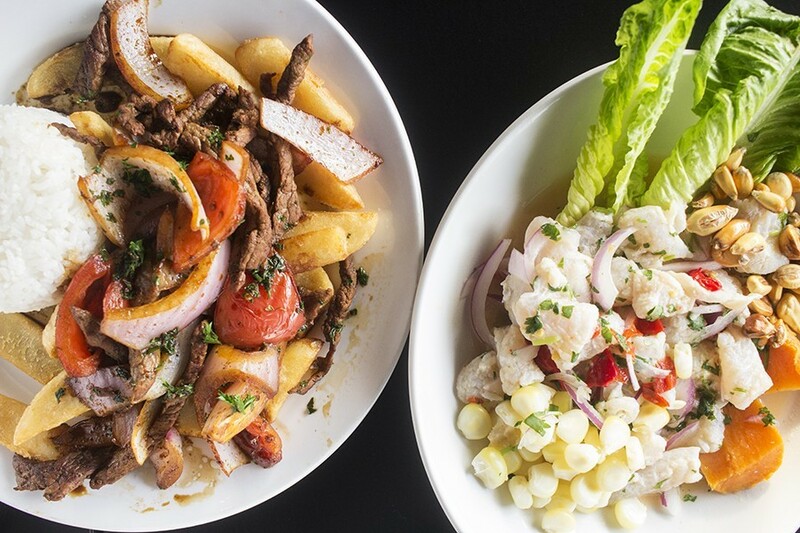 Yes, you should eat gas station ceviche -- and lomo saltado too. Even the most adventurous eaters have a list of culinary no-nos that remains sacrosanct. Don't go to a buffet within an hour of closing, steer clear of mayonnaise-based sandwiches on airplanes and never, under any circumstances, eat sushi from a truck stop. Until a few weeks ago, I would have added a sub-clause to that last point: Unless you're in Lima, never, ever eat gas station ceviche. 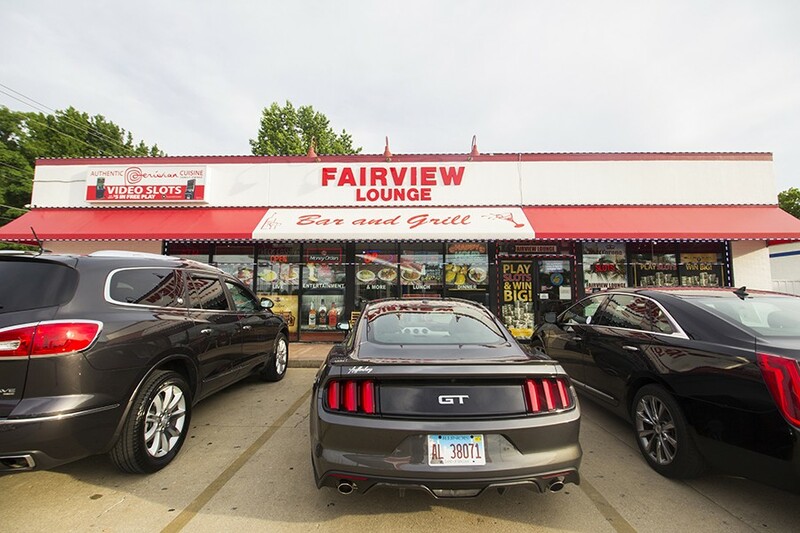 Under normal circumstances, I'd stand by that rule, but the Fairview Lounge — an unlikely bar and grill located inside a Conoco in Fairview Heights — is no normal circumstance. Pulling off the Illinois suburb's main drag and down a smaller road, you'd never suspect the filling station before you to be anything but a place to gas up the car, cash a check and get some Scratchers tickets. And you can do that there. As it turns out, though, you can also enjoy a full-fledged authentic Peruvian feast in what may be the area's most unexpected setting. Lorena and Abdallah Abraham had been running their Conoco as a traditional filling station for thirteen years when they got the idea to convert the area reserved for fountain sodas and roller dogs into a bar. For Lorena, a native of Peru, it just made sense: Gas station restaurants aren't that uncommon in her native country, she loved to cook and they had the space. Why not? 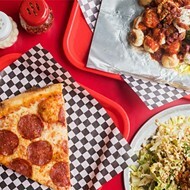 As part of the 2014 renovation, the Abrahams put in a full kitchen and started serving American bar staples like wings and pizzas to curious Fairview Heights residents. Their experiment was a success, but a ten-week trip to visit Lorena's family in Peru inspired them to take it even farther. Lorena was confident in her abilities as a cook and saw the cuisine of her homeland gaining popularity across the world. "I already have this full kitchen," she thought. "Why not do the food that I'm most proud of?" 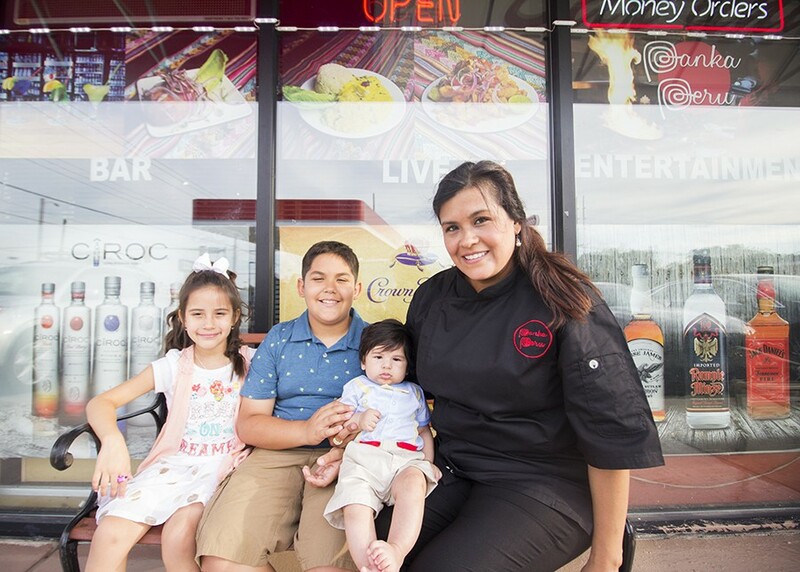 In 2015, the Abrahams converted the Fairview Lounge into an authentic Peruvian restaurant, filling the menu with Lorena's family recipes. "Converted," however, does not mean this is a hip, repurposed garage filled with craft cocktails and mustachioed barmen. There's no irony; the Fairview Lounge is literally inside a working gas station. When you walk through the front door, you enter a vestibule. To the right is a cashier window where you can pay for your fuel and grab a pack of smokes or an airline bottle of Fireball. To the left is the kind of wooden door with an etched window you'd find on a suburban home. The room is comfortable, and larger than you might expect. 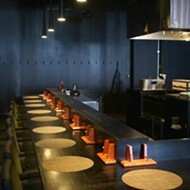 That door leads into a surprisingly comfortable dining room that's much like you'd find in a typical bar and grill. To the rear of the room, the large wooden bar is filled with an impressive tap selection and an even more impressive assortment of bottles. 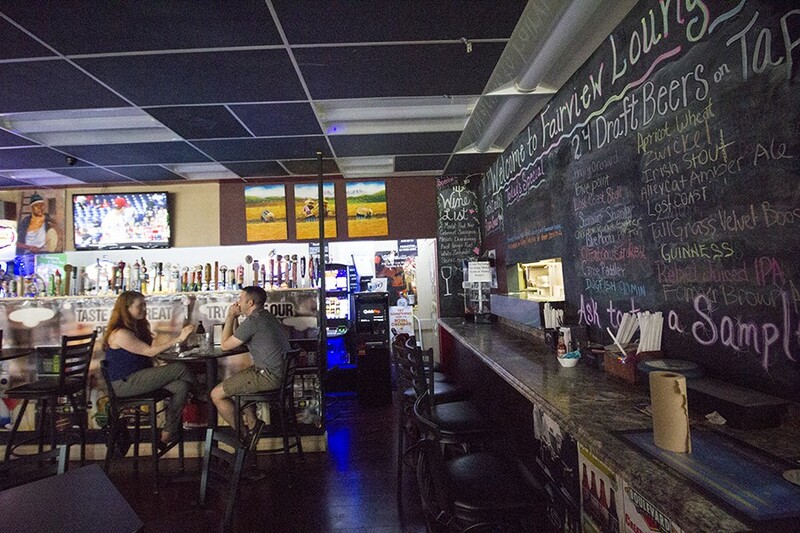 They have the space for such a comprehensive beer list: The grab-and-go coolers that hail from the room's traditional gas-station days have been transformed into a display case for Fairview Lounge's offerings. A stage for live music lines the wall facing the parking lot, and a partition near the entrance partially hides a wall of slots. Seeing all that, you might imagine you'll be eating chicken wings and a burger. Which you can in fact do here, but once the menus hit the table, the full ambition of the Abrahams' restaurant reveals itself. One Peruvian specialty after another beckons. 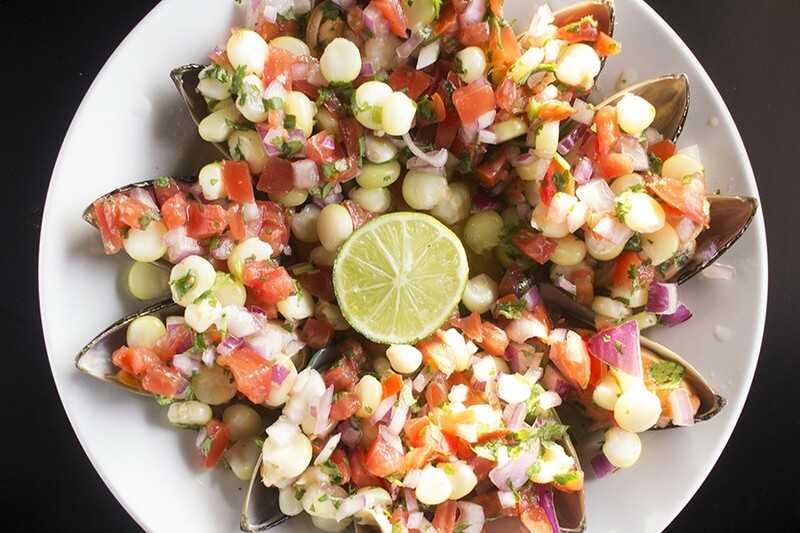 Choros a la chalaca is a traditional recipe of steamed mussels, topped with diced red onion, tomato, corn and cilantro. That includes massive empanadas, with flaky shells that can barely contain their juicy ground beef stuffing. 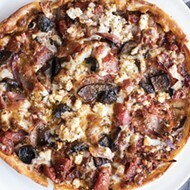 Kalamata olives, tomatoes, onions and raisins are studded inside, giving the dish a complex combination of sweet, salt and varying textures. 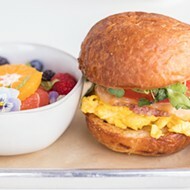 The papa rellena, a hybrid of a potato croquette and a doughnut, has the same filling as the empanada, plus the addition of diced hard-boiled eggs and chile spices. The golden, deep-fried potatoes envelope their contents in a buttery pillow, while the filling imbues the spud with juices and spice like a Peruvian gravy. After such wonderful, but admittedly heavy, appetizers, a Peruvian salad provided welcome respite. Hunks of avocado, tomatoes and queso fresco are tossed with lime juice and herbs like a deconstructed guacamole. 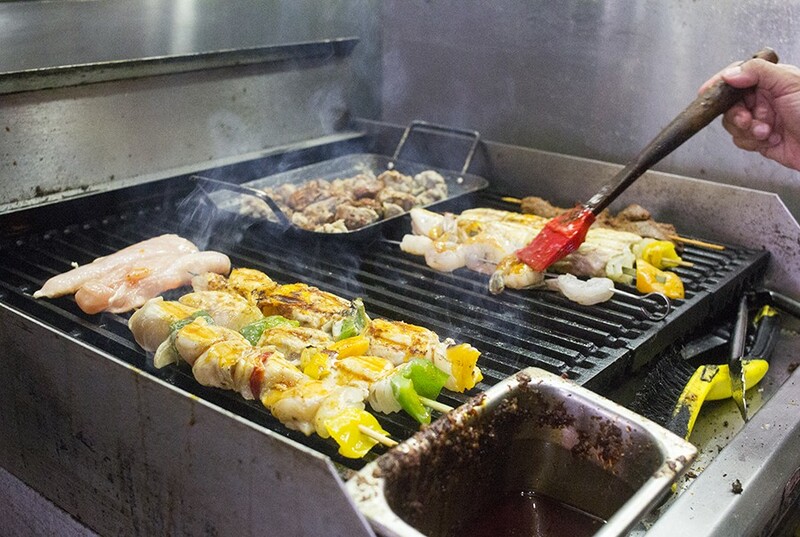 One of Fairview Lounge's specialties is its marinated and grilled seafood and meats. It was at this point, after enjoying the salad's refreshment and having a little more faith in my surroundings, that I took a bold leap and ordered the ceviche. It was dazzling. Pearlescent pieces of whitefish, dressed in fresh lime juice, transported me from the East Side to a South American beachfront café. Small slices of serrano peppers added heat, and cilantro and shaved red onions infused the fish with flavor. The ceviche is presented with chilled sweet potatoes, hominy and cancha, a Peruvian "soured corn" best described as a lighter version of a corn nut. I could have made an appetizer of these alone. A massive platter of arroz con pollo might have been big enough to feed the table, but its delicious flavor makes it difficult to share. Tender, cilantro-laden rice serves as a bed for several pieces of marinated chicken that have been kissed with grill char. A simple tomato and red onion salad gives a pleasant cool contrast to the steaming dish. Fairview Lounge's grill gets plenty of action. Lomo saltado, the Peruvian cousin to fajitas, features strips of steak, bell peppers and onions that have been flamed with Pisco brandy. A related dish, tacu tacu con lomo saltado, serves the same meat, pepper and onions, only with a red wine and soy reduction drizzled over the top. It soaks into the accompanying rice and fried bean mixture to give each bit a wonderful mix of sweet and salt. 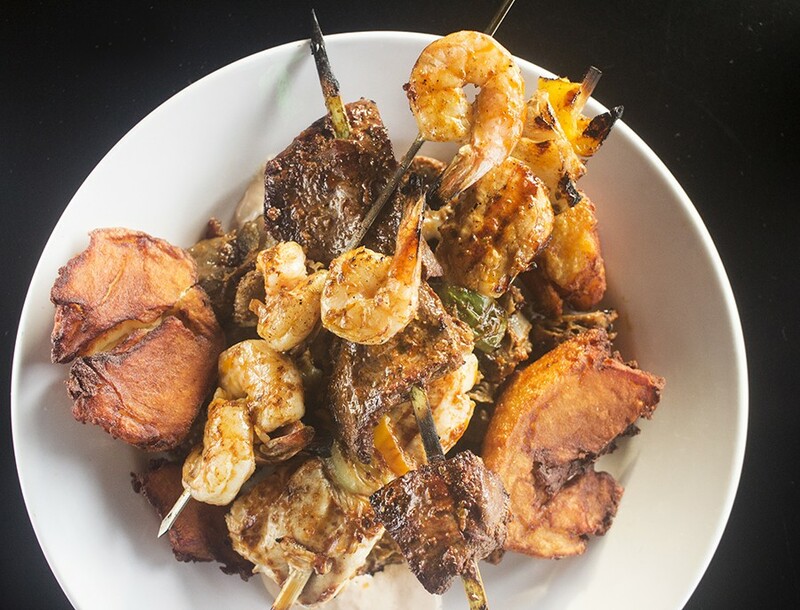 Fairview Lounge's Peruvian grilled specialties are also noteworthy, particularly the anticuchos, or marinated beef hearts. 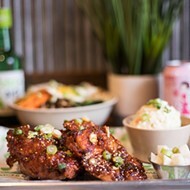 Served on a skewer and cooked over open flame to get a crispy char, the tender pieces of heart are coated in a delicate house secret glaze that tastes like chiles and red wine. For even a not-so adventurous diner, this dish is not all that different from eating a fine filet. 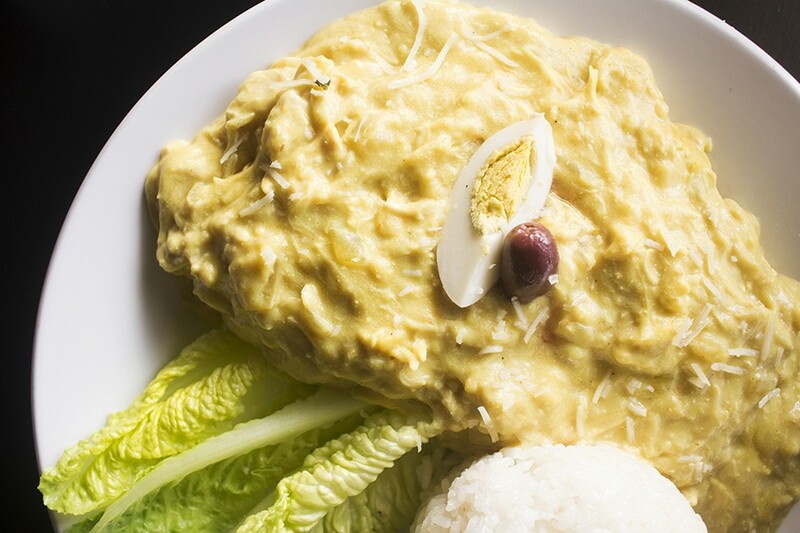 Aji de gallina includes shredded chicken, homemade Peruvian yellow sauce, sliced boiled potatoes, boiled egg and kalamata olives. The molle jitas are another example of the Fairview Lounge's proficiency with offal. Chicken gizzards, coated in herbs, garlic and chile, are impossibly tender and mild. Mixed in with a side of garlic rice, they make for a delectable riff on chicken fried rice. For those not feeling the gizzards, the Peruvian-style kabob of simple marinated chicken is a worthwhile alternative. For dessert, our server enthusiastically recommended the alfajor, which proved to be an outrageously delicious Peruvian cookie sandwich. Caramel-rich dulce de leche is sandwiched between two corn starch cookies that are similar to shortbread but crunchier. We ravenously ate up every crumble. As we staggered out of Fairview Lounge, full of Peruvian delicacies and Pisco sours, my friends egged me on to try my hand at the slots behind the partition. The list of payouts, hung near the restaurant's exit door, were enticing, but I'd taken enough of a gamble that day by venturing into the realm of gas station ceviche. I was already a winner. Lorena Abraham and her family.